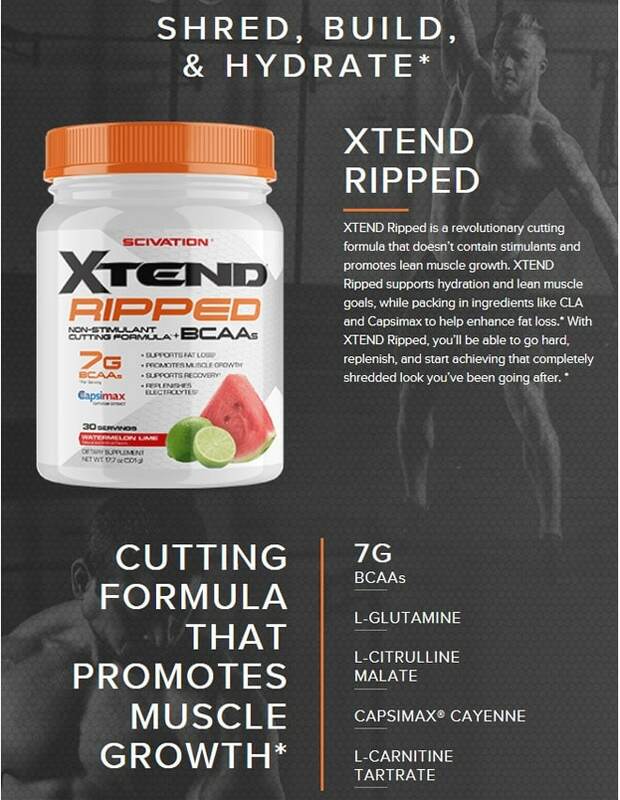 Scivation Xtend Ripped is a revolutionary cutting formula that doesn’t contain stimulants and promotes lean muscle growth. XTEND Ripped supports hydration and lean muscle goals, while packing in ingredients like CLA and Capsimax to help enhance fat loss. With XTEND Ripped, you’ll be able to go hard, replenish, and start achieving that completely shredded look you’ve been going after. 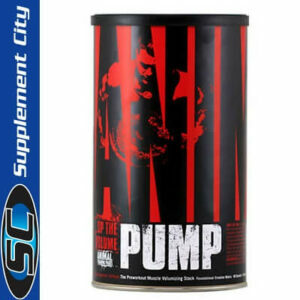 Scivation Xtend Ripped brings you all of the benefits of Scivation XTEND, but now with enhanced non-stimulant fat loss and thermogenic capsaicinoids to help you attain the lean, ripped look you desire. Additionally, you’ll find the same researched dose of 7 g BCAAs in the clinically supported 2:1:1 ratio, along with 2.5 glutamine, 1 g citrulline malate and our electrolyte blend for ultimate hydration. 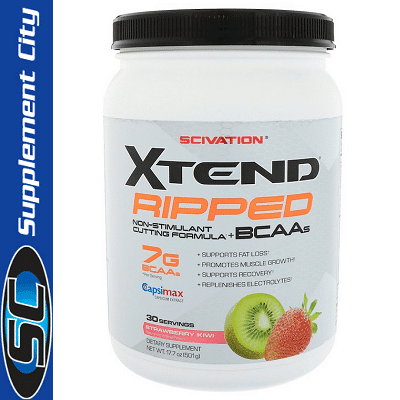 Scivation Xtend Ripped, designed for workout recovery, optimized for supporting body composition. Other Ingredients: Citric Acid, Natural & Artificial Flavors, Malic Acid, Silicon Dioxide, Sucralose, Acesulfame Potassium, FD&C Blue #1. Directions: As a dietary supplement, mix each heaping scoop in 10-14 fl. oz. of water (adjust for taste preference) and shake well. On training days, consume 1 heaping scoop during exercise and 1 heaping scoop after exercise. On non-training days, consume 2 heaping scoops throughout the day. For best results, consume daily.